Erik Brannstrom was selected by the Vegas Golden Knights with the 15th overall pick in the 2017 NHL Draft. Unlike many of the other top picks, Brannstrom has been playing in the Swedish Hockey League, a professional hockey league without any age requirements. In other words, he’s been playing against grown men while Cody Glass, Nick Suzuki, Nic Hague, and most of the other picks have been playing against kids. The expectation for Brannstrom, if he doesn’t make the NHL team, was for him to play this season in North America, likely in the AHL. That may have changed early this morning morning when a new option opened up. Interesting: The Brandon Wheat Kings just drafted 2017 15th overall pick Erik Brannstrom (VGK) in the CHL import draft. Not sure if that's the first option for him next season or if they'd prefer him in the AHL, but safety net there to ease him into North America if needed. The CHL Import Draft is a yearly draft in which Canadian junior teams can select eligible non-North American born players to potentially add to their rosters for the upcoming season. Brannstrom was the 44th pick to the Wheat Kings. His mind is not on the CHL though. He seemed a bit surprised he had even been selected. The likelihood of Brannstrom making the NHL roster out of camp still remains fairly low. 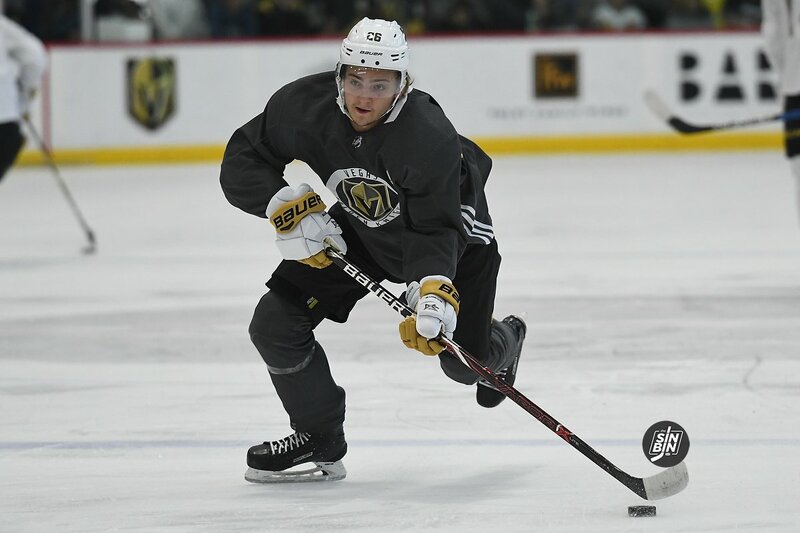 With the selection of Brannstrom in the CHL, there are now three options of where he could play in the likely event he’s not on the 23-man Golden Knights roster. Option C doesn’t seem to make a lot of sense, and if it were any team other than the Wheat Kings it would (and probably should) be laughed off as the CHL team taking a shot in the dark hoping he’d have a change of heart. However, because it’s Brandon, which is owned by Golden Knights assistant general manager Kelly McCrimmon, the option has to be taken seriously. Clearly, the Wheat Kings took Brannstrom for a reason and odds are a conversation with McCrimmon occurred before the selection. If there was a reasonable belief that Brannstrom was expecting to play in the CHL this year, he wouldn’t have slipped to the 44th pick, behind multiple late-round NHL draft picks. There’s strong reason to believe the Wheat Kings had intel others did not have, and it’s possibly tipping us off to Brannstrom’s future plans. However, there’s also the possibility McCrimmon advised the Wheat Kings to take the 18-year old defenseman to assist the Golden Knights. The plan still may be to give Brannstrom a shot at the NHL roster and then put him in the AHL, but if he struggles in camp the CHL is now a fallback plan option. It would not have been if he were not to have been selected today. He did not attend training camp in Vegas in 2017 because he went to camp with his team in Sweden. He will be in camp this year. According to Wikipedia, the only “risk” in taking a player in the CHL Import Draft and having him not report is the loss of the $2,000 fee it costs to select a player. 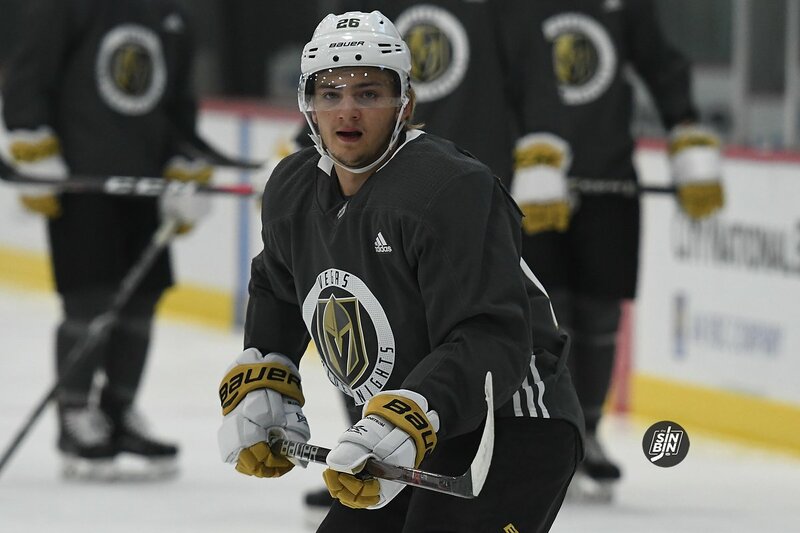 With McCrimmon owning the Wheat Kings, it would be coming out of his pocket, and odds are, the Golden Knights would have no problem covering that if they see value in the Wheat Kings being a fallback plan for Brannstrom. McGill also added that he doesn’t seem to notice any issues Brannstrom has had transitioning to the smaller rink, and said even if they do pop up, he’s a player that should be able to adapt. In addition to Brannstrom, the Wheat Kings selected goalie Jiri Patera, another Golden Knights draft pick. Patera confirmed to SinBin.vegas he’s thrilled he was selected and looks forward to “taking the step up” from the USHL to the CHL. Patera makes sense for the Wheat Kings. Brannstrom does not. That being said, Brannstrom was selected, and if we know anything about Kelly McCrimmon and George McPhee, there’s a purpose for everything. Whether we ever find out that purpose is a completely different story though. Hopefully we’ll se him in the AHL instead of the CHL. From what I’ve heard, he’s too good (experience wise) for the CHL, yet not seasoned enough for the NHL. Playing in the AHL would make more sense, IMO. To me, it’s a formality. It’s nice to have a plan C, but I don’t see anyway he would go there instead of back to Sweden. The only advantage is he could get 9 regular season with VGK and then get sent down to Jrs if he was completely outmatched, and save a year against the small chance Vegas had to be a part of the next expansion draft. Expansion draft exemption is not guaranteed. Bettman’s assistant has said they have their lawyers working on finding a loophole to force Vgk into the draft. Their is some different options about if Vgk has to enter the draft if Seattle is pushed to 2021. If they put him in the CHL we know that they think there’s a chance they will have to enter it in 2021. I can see the NHL pushing it back to 2021 just to force Vgk into the draft. If they are exempt GMGM is going to fleece the other teams again. He’s going to be able to buy low and sell high because teams will not want to lose players for nothing.